Health professionals should treat people who show signs of sepsis with the same urgency given to those who complain of chest pain that might be a heart attack, a Southampton doctor has warned. Professor Saul Faust, of the University of Southampton and University Hospital Southampton NHS Foundation Trust, chaired the group that developed the new guideline for the National Institute for Health and Care Excellence (NICE). The national evidence-based guideline is the first of its kind and says health professionals need to think about the possibility of sepsis in all patients who may have an infection. Professor Faust said: “Anyone can succumb to sepsis. It can come on as the result of a minor injury or infection that the body is trying to recover from and the immune system goes into overdrive. According to the UK Sepsis Trust there are around 150,000 cases of sepsis in the UK each year, which causes around 44,000 deaths. Sepsis occurs when the immune system becomes overactive during an infection, causing damage to the body itself. A report by the National Confidential Enquiry into Patient Outcome and Death published last year revealed delays in identifying sepsis in over a third (36%) of cases. The NICE guideline includes recommendations to help health professionals working in any NHS setting recognise sepsis as soon as possible. Signs and symptoms are presented in clear tables to help clinicians assess each person’s risk based on their age and where they are being treated. People at high-risk of severe illness from sepsis in primary care should be referred by ambulance to hospital. Once in hospital they should be seen by a senior doctor or nurse straightaway who can start treatment. 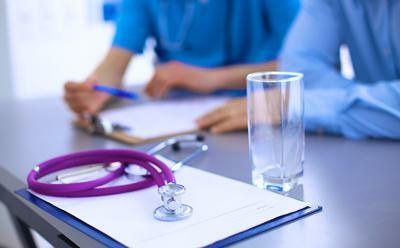 Professor Mark Baker, director of the NICE Centre for Guidelines said: “Once identified, sepsis can be treated very quickly and people are more likely to make a full recovery. We know that when hospitals are well prepared, clinicians do better at responding to patients with sepsis. However recent reports have revealed that many hospitals have no formal protocols for recognising and responding to sepsis. The UK Sepsis Trust worked with NICE to update its range of clinical toolkits in line with the NICE guideline. Dr Ron Daniels, chief executive of the UK Sepsis Trust said: “Sepsis is a condition whose time has come. We must act decisively to save many of the thousands of lives claimed every year. “The UK Sepsis Trust exists to drive improved outcomes in sepsis and, as the only charity combining clinical leadership with support for those affected by sepsis, we welcome this new guideline as a unique and significant opportunity to effect change across the UK and beyond. Early symptoms of sepsis may include fast breathing or a fast heartbeat, high or low temperature, chills and shivering, and people may or may not have a fever. Severe symptoms can develop soon after, when blood pressure becomes very low, leading to dizziness, disorientation, slurred speech, mottled skin, nausea and vomiting. Without quick treatment, sepsis can lead to organ failure and death. 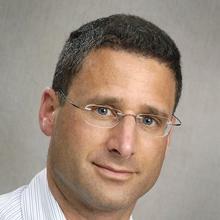 Professor Saul Faust is Professor of Paediatric Immunology and Infectious Diseases within Medicine at the University of Southampton.